How To Preach A Sermon From Ephesians 4:1-16 is a sermon outline that looks at walking together with the Lord. Psalm 133:1 says, "Behold, how good and how pleasant it is for brethren (the people of God) to dwell together in unity." There is something special about God's people walking together with God and each other. After all, God is in the business of bringing people together. In fact, God brings warring people together by breaking down the hostile barriers that divide (Ephesians 2:14-16). Furthermore, it says in Ephesians 2:5, "God made us alive together in Christ." It is Jesus who brings us together and it is our togetherness that inspires service for God. It is our togetherness that inspires ministry to one another in love. Christians do argue and fight. However, our mandate is not arging and fighting. Instead we should walk together with Jesus. How do we do that? How do we walk together with Christ? How do we maintain togetherness whereby we remain one in the Lord? The call to oneness stems from our worthy walk with Jesus. Look at verses 1 to 3, "I, therefore, the prisoner of the Lord, beseech you to have a walk worthy of the calling with which you were called, with all lowliness and gentleness, with longsuffering, bearing with one another in love, endeavoring to keep the unity of the Spirit in the bond of peace." We are one in Christ—no longer Jew or Gentile but one new man in Christ (that's our position). In light of our position, Paul urges us to walk together in oneness with Christ (that should be our practice). God has brought us together in Jesus (God’s work). We are to walk worthy of our position (Our responsibility). We cannot create togetherness (that's God's work). That is not our responsibility. Our responsibility is to maintain togetherness. "Endeavoring to keep the unity of the Spirit in the bond of peace" (4:3). These worthy qualities will inspire us to walk together in Jesus. When we get it wrong, these qualities will also inspires to get it right. 2. Understanding the cause of oneness (4:4-6). Why should we work at togetherness? The Godhead is unified and this unity should be reflected in the Church of Jesus Christ. There are three reasons why togetherness should be reflected in the church. Because the Godhead is one, we are exhorted to walk together in oneness with Jesus. When we turn from sin to faith in Jesus Christ, we become a part of God’s family. God breaks down the barriers that divide in order to bring us together. This togetherness should inspire us to serve God. This togetherness should encourage us to minister to one another in love. The mandate is walking together in oneness with Jesus. As much as there is arguing and fighting, as much as there is division, the mandate remains the same. Endeavor to keep the unity of the Spirit in the bond of peace. How To Preach A Sermon is about structure. The better you structure your sermon, the easier it is to preach. The sermon about uses the inductive method. The main preaching point is followed by sub-points and incidental points. 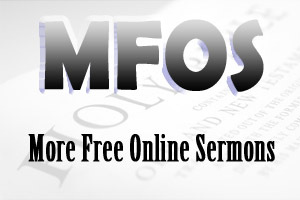 For more information about deductive or inductive methods, click on the following link how to preach a sermon.